Upon leaving Seal Beach Campground, got one last photo of Blue Heron. 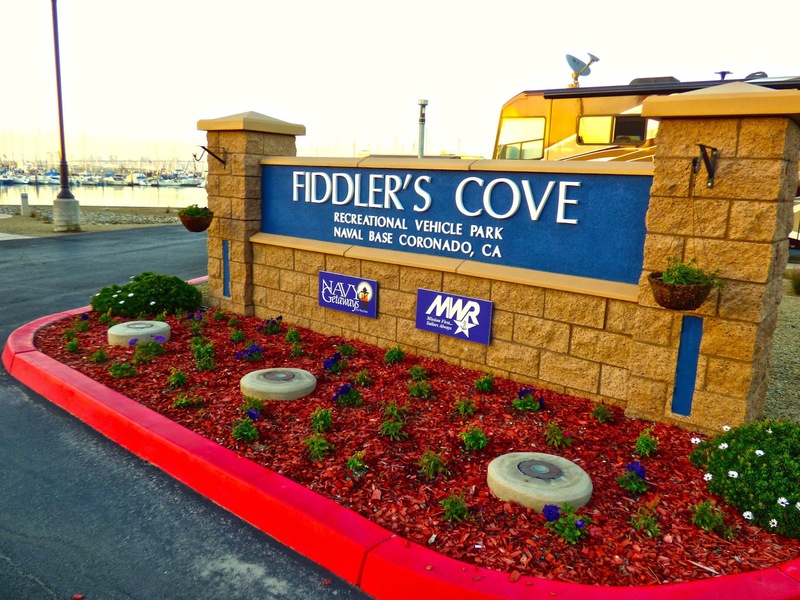 A 2 hour drive to our home for the next month, Fiddler's Cove Navy Amphibious Base Coronado. We were here for a few days end of September and found it to be very relaxing with a beautiful view of the bay, Coronado Bridge, Navy shipyards and marina. We are now in site #15. Upon arrival, got a photo of a C-17 on final approach to the Naval Air Station on North Island. After settling in, we drove several miles down 75 to Imperial Beach and walked the pier. A fisherman had caught an orange fish that I think is a roughy and was told that they can live up to 146 years. It is also illegal to catch and keep in California. Not sure if this is true. Also spotted some pigeons bathing in the fish sink. When we got back, there were some pelicans resting on the bay floats. We also saw some ospreys on their Aerie. We then drove over to the Commissary and Exchange on the Naval Air Base for supplies. Goodnight Luna and off to bed. The days are getting short..sunset at 5PM. When we started our journey into Canada in June, days were long with nightfall around 10PM and daybreak around 5AM..miss those days. I don't think I would ever leave that place!